Unintended consequences. That's the only way to describe what has taken place over the course of the past several weeks for the New Orleans Saints NFL football team and its passionately devoted Who Dat Nation fan-base, following the franchise's controversial overtime loss to the Los Angeles Rams in the NFC Championship Game a few months ago. 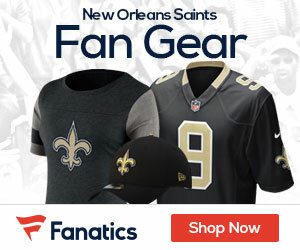 Specifically, because of the change that will now be implemented to the League's rules (which was strongly encouraged by Saints head coach Sean Payton) regarding the ability of NFL coaches to challenge pass interference calls just a few short months following the infamous "non-call" which robbed New Orleans of an opportunity to advance to the Super Bowl, the team and its most ardent of supporters are now being portrayed by some as "whiners" or cry-babies. And as a direct result, the team and its fans that were once receiving an outpouring of sympathy from the sports world, are now being vilified by many of those same people for what they feel has been an endless amount of "sour grapes" on the part of the organization and its faithful followers. To use an analogy from the world of WWE / Professional Wrestling: you could even say that the New Orleans Saints and their fans are now being thought of as the "heels" or the bad guys of the NFL — but the honest truth is that instead of taking offense to that label, both the team and the Who Dat Nation should actually seek to embrace it. Simply because it doesn't matter what anyone else thinks. Reputation aside, an injustice was done to a city and franchise that indisputably had a shot at winning an elusive 2nd World Championship; and the idea that they should willingly accept that outcome without there being some sort of significant action taken to prevent it from ever happening to another team, is something that is unfathomable. So to label the Saints and their supporters as "whiners" or cry-babies might just be a bit disingenuous. But of course, that didn't stop folks such as ESPN's Bomani Jones, from taking a "shot" at Payton and Who Dat fans after the League's 32 head coaches — by an overwhelming 31-1 majority — voted to allow all offensive and defensive pass interference calls, including no-calls, to now be challenged. Fair or unfair, that very same necessary and much-needed change to an outdated rule, is now being looked upon by people like Bomani Jones as an attempt to alter or hurt the game; when in reality it's something that will ensure that the image and more importantly the INTEGRITY of the game, is maintained. But just in case you haven't noticed: neither the League or the National Media really care about the end result of what occurred on that fateful day at the Mercedes-Benz Superdome over two months ago. And they definitely don't care about the Saints organization or its fans, unless of course it garners them television ratings or clicks to a website. In the end, nobody else in the world of Pro Football (with the possible exception of the current defending World Champion New England Patriots, who themselves have been viewed or portrayed as the reigning "heels" / bad guys of the NFL for some time now) is going to feel sorry for the Saints or their fans. But the thought or notion that they shouldn't feel the way that they do after having gone through such a gut-wrenching and emotionally-crushing experience against the Rams, is probably expecting a little too much. Let's face it: if this had happened to a team that has a bigger following nationally like the New York Giants or the Dallas Cowboys and not to the Saints or some other "small market" team like the Jacksonville Jaguars, the narrative very likely would be a much different one. For his part, Payton doesn't have any regrets, nor should he. "I think we got it right" said Payton not long after the change was announced, to ProFootballTalk. "I think it's more about the football element [than a personal victory]," Payton continued. "I think it's more of that 'owe it to the game' that we have responsibility, and really, I mean that. This isn't going to be perfect always, and we know that. The mere shape of the ball tells you it's not going to bounce the same way. But these are fouls that the analysts are able to point and say, 'Hey, they're the most impactful fouls.' I think we got it right." "We had the ability within the system [to fix it]," Payton said. "We know [coaches have] two challenges, and if you get them right, you have a third and you're north of two minutes and you feel like there's been a foul, you can challenge that. "I think it fit with a system we know and a system the fans know. Obviously there are certain calls it doesn't address, but at least we can begin to look at this as we move forward. I think everyone was excited that we arrived at a good answer." Whether they actually have arrived at a good answer, remains to be seen. Nevertheless, the Saints, Payton, and the fan-base will likely continue to be viewed or perceived negatively, especially by those who have no conviction to empathize or believe otherwise, because it didn't happen to THEIR team. And you know what? Let them continue to feel that way. After all, sometimes being the "bad guy" isn't the worst fate. Just ask the famous "outlaw" Oakland Raiders teams of the 1970's. Or for a more current and up-to-date reference: ask Bill Belicheck, Tom Brady, and the now 6-time Super Bowl Champion Patriots, if they're more concerned about what people think about them — or if they care more about winning a championship. So learn to embrace it, Saints fans. You are now the "heels" / bad guys of the NFL.